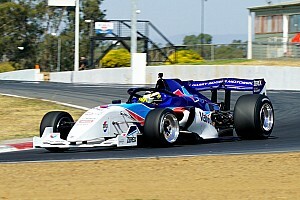 The first round of the inaugural Australian S5000 Championship season has been delayed until September this year due to supply issues with materials from the United States. An S5000 car sporting a tribute livery to Al Unser Jr's 1992 Indy 500 win has been revealed ahead of a trade show appearance in Australia this week. Former Supercars CEO James Warburton has joined the Australian Racing Group, promoter of the new S5000 and TCR Australia categories, as a non-executive director. The latest batch of Onroak-Ligier S5000 chassis have landed in Melbourne and are currently being prepped by Supercars squad Garry Rogers Motorsport. Liam Lawson beat Ferrari Driver Academy member Marcus Armstrong to the Toyota Racing Series title with victory in the New Zealand Grand Prix. 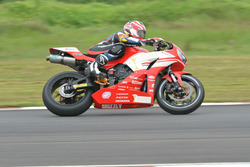 Kiwi legend Kenny Smith is set to start his 48th New Zealand Grand Prix this weekend. Toyota Racing New Zealand has announced it is cancelling the remaining qualifying sessions and races for its Toyota Racing Series round at Teretonga Park on safety grounds due to gale-force winds. Former Mercedes DTM racer Lucas Auer will contest the New Zealand-based Toyota Racing Series as part of his preparations for his upcoming Super Formula campaign. 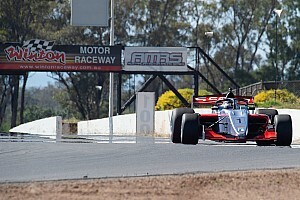 The new-for-2019 S5000 series is hoping to have talent from outside of Australia on the grid for its inaugural season. Garry Rogers Motorsport has completed what's been described as a 'seamless' handover of the S5000 programme with a test at Winton today. Supercars squad Garry Rogers Motorsport will be involved in testing the prototype S5000 car for the first time early next week. The new-for-2019 S5000 series has placed a first order for 13 chassis ahead of its inaugural season, the cars set to be built by Supercars squad Garry Rogers Motorsport. Can a name change save UK motorsport? The governing body of UK motorsport has had a rebrand, a refresh and a refocus. Can its quest to promote the sport and stimulate the grassroots help change the course of its potentially troubled future? Supercars star Garth Tander will make a surprise appearance behind the wheel of the S5000 car on the streets of Newcastle on Sunday. The return of top-level open-wheeler racing to Australia could see the return of the prestigious Gold Star, according to the Confederation of Australian Motor Sport. The all-new S5000 series has unveiled a preliminary six-round calendar for 2019, contained entirely within the second-tier Shannons Nationals schedule, as well as its new-spec car in completed form. The new-spec S5000 will make its public debut at the Newcastle Supercars round next week, with Greg Murphy and John Bowe set to sample the V8-powered open-wheeler. S5000 is planning to revive the famous Tasman Series when it kicks off next year, with a number of end-of-season rounds in New Zealand. Simona de Silvestro says a Red Bull-style driver development programme would be a better use of funding to bring females into motorsport than the proposed W Series. Former grand prix driver David Coulthard says motor racing's structure needs a "fundamental" change like the new W Series if women are going to make a breakthrough in Formula 1. The creation of the all-female W Series has drawn a mixed reaction from women racers, with opinion clearly divided about whether or not it is the right thing to do. W Series, a new international single-seater championship for women, is to launch next year with the aim of helping females in their push to Formula 1. 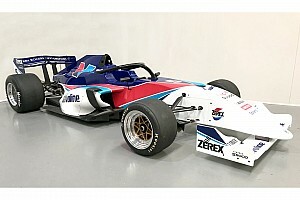 S5000 is hoping to become an Australian version of IndyCar or SuperFormula, according to series creator Chris Lambden.